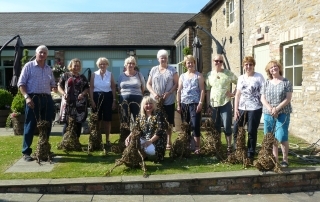 A great group and fun workshop making willow hares at The Old Ticket Office, North Ferriby. Looking forward to returning soon. 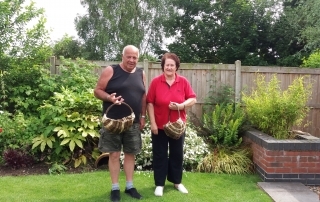 Thank you to Marjorie and Alan for coming along to learn how to weave a willow basket. 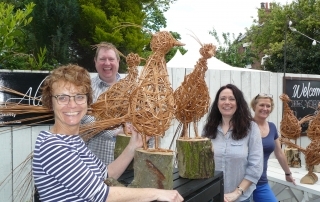 They did a super job and used a variety of different coloured willow. ADDITIONAL DATE SET. Due to a SELL OUT of the Hare Workshop at Drewton’s. Brilliant news! 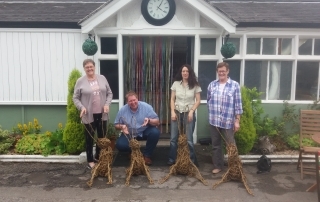 Due to a sell out of the Hare Workshop at Drewton's in June, I have set another willow hare course at Drewton's on 15th July.